The war that took place in Iraq can be divided into two stages. The first stage can be considered to be the fall of the Saddam Hussein regime. 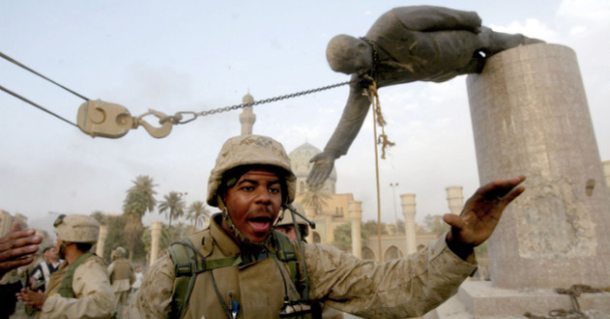 That was the moment when the US army defeated the Iraqi army on the 1st of May, 2003. The second stage is represented by the guerrilla war versus the occupation that started in Falluja on the same date (1st of May, 2003). Although the Iraq armed forces were weakened by the war with the US-led imperialist coalition in 1991, they still had an estimated number of 280,000 and 350,000 soldiers, not to mention a lot of tanks and artillery pieces, grenades, light mortars etc. The Iraq armed forces also had the experience of war when they thought with Iran for almost a decade. The Iraq army was already weakened because there were many restrictions on the import of medicine and food and that led to a decline when it came to the health of the population. The US launched the famous “Operation Desert Fox” on 18th December, 1998 when they falsely claimed that Iraq was not cooperating with the people from UN. A military strike took place, with the US firing 415 cruise missiles at Iraq and 600 laser guided bombs. A lot of historians agree that the US military aimed for a Blitzkrieg (a so called lightning war). The States wanted to take over Baghdad and overthrow Saddam`s regime. The inspectors send by U.S as spies in Baghdad even claimed that there were weapons of mass destruction. Actually, the inspectors haven`t found such “weapons”. This pretext served as a justification for the Americans to start the war. 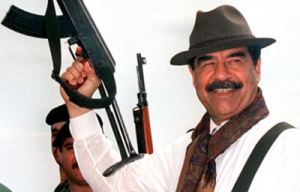 Other U.S officials claimed that Saddam Hussein was hiding and supporting the terrorist group called Al-Qaeda. Strangely, they haven`t shown any evidence to support this claim. The U.S also wanted to spread democracy in Iraq and the invasion was also justified because the officials said that they found out that Iraq was helping the families of Palestinian suicide bombers with money. How did it all end? The U.S officials advised the U.N inspectors to leave Iraq. Then, on the 20th of March, 2003 the Americans invaded Iraq by surprise without declaring war or threatening Iraq in any way. This invasion led to the fall of the Saddam Hussein regime, ending with Saddam`s capture who was tried and executed by the new government of Iraq.